Homemade freezer meals your whole family will love! Make these TEN freezer meals in two hours to make your busy weeknights easier! There is nothing I love more than a freezer stocked full of easy homemade freezer meals! As a busy mom of four young kids, make ahead freezer meals can be a serious life changer. I originally got into bulk freezer meal cooking with my neighbor and good friend, Pam, from Over the Big Moon years ago when we were both freezer cooking (and blogging) newbies! We made this first original batch together and I’ll tell you what- they are delicious! We did five different recipes and made two of each recipe, ending up with 10 delicious freezer meals in under two hours! It went so fast and I loved knowing I have some meals in my freezer that are not only quick, but delicious! One of the reasons we grouped these recipes together is that they are all pretty different from each other. This way you will have a variety of yummy options in your freezer! Here is a little video sneak peak of the five different recipes you’ll be seeing in this post, and a little of the freezer meal assembly process. Before we get down to our delicious recipes I thought I would answer a few quick FAQ’s. How do you reheat frozen meals? For the meals in this post, we put re-heating instructions in each recipe card. That being said, I typically prefer freezer meals that can go straight into the crockpot. If a meal needs to be baked (like the beef enchiladas in this post, casseroles, etc.) then I usually let them sit on the counter for a few hours or in the fridge overnight before baking as the recipe directs. What meals can I make to freeze? In addition to the meals in this post here are a few of our other favorite things to freeze! Which foods do not freeze well? Foods that are not ideal to freeze in my experience are: fried foods, foods that are cream based, desserts with meringues, recipes with raw egg whites, cucumbers, lettuce and uncooked celery, hard boiled eggs and mayo or sour cream based meals. What do I need to assemble freezer meals? The essentials are: gallon sized freezer ziplocs, aluminum foil and disposable pans with lids! 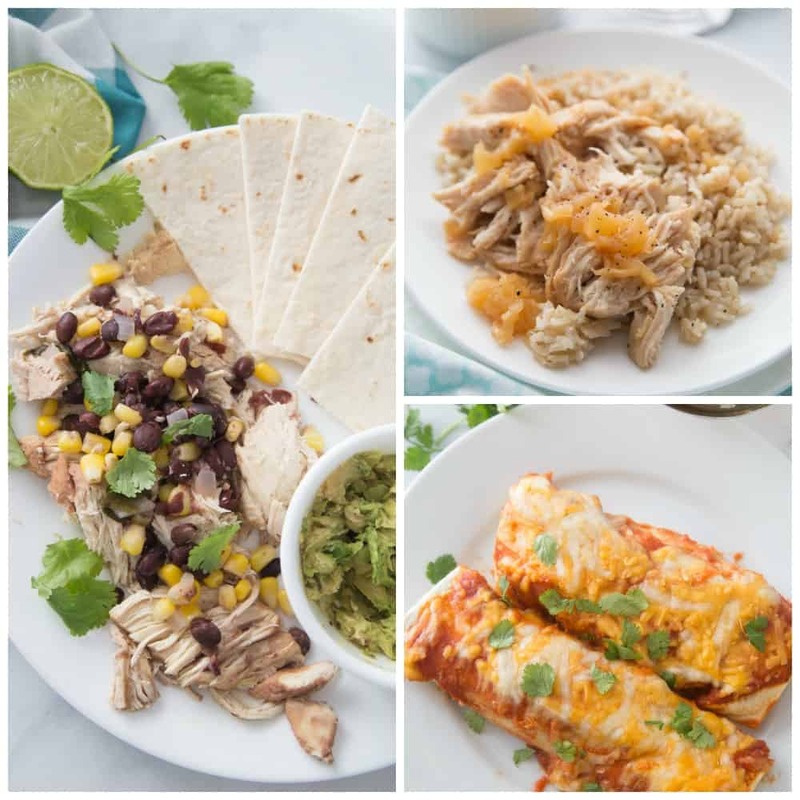 Cilantro lime chicken is a delicious fresh and healthy freezer meal option! Serve with avocado and some soft yummy tortillas and you’re in business! 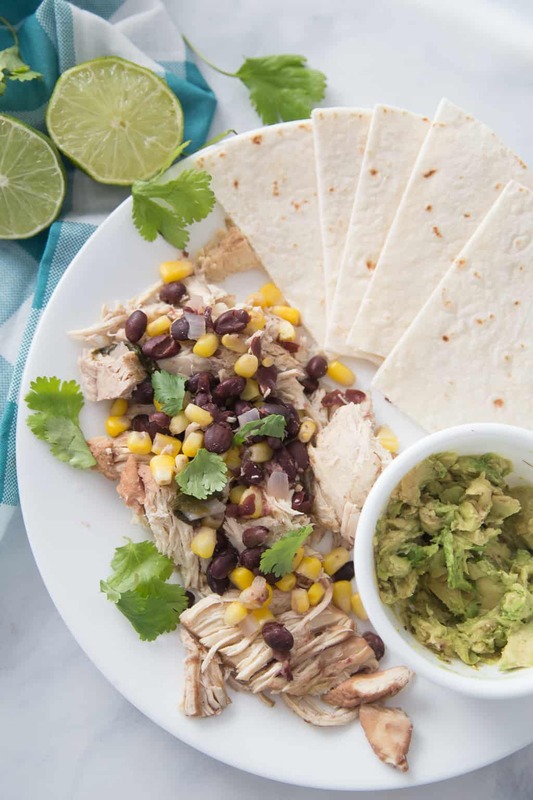 Easy and delicious cilantro lime chicken freezer meal! Ready to dump in the crockpot and have for dinner! Take ingredients and split everything into two containers. Mix bag by shaking, seal, label and put in the freezer. Cooking instructions: Cook in Crockpot on Low for 6-8 hours or High for 3-4 hours. Serve with hot tortillas and dress with sour cream, guacamole, and/or cheese. Remember this recipe card is meant to make 2 freezer meals, so if you only want one you need to cut ingredients in half! Also, these are the gallon bags I use for freezer meals, and we love them! The assembly on the cilantro lime chicken is a breeze as well! 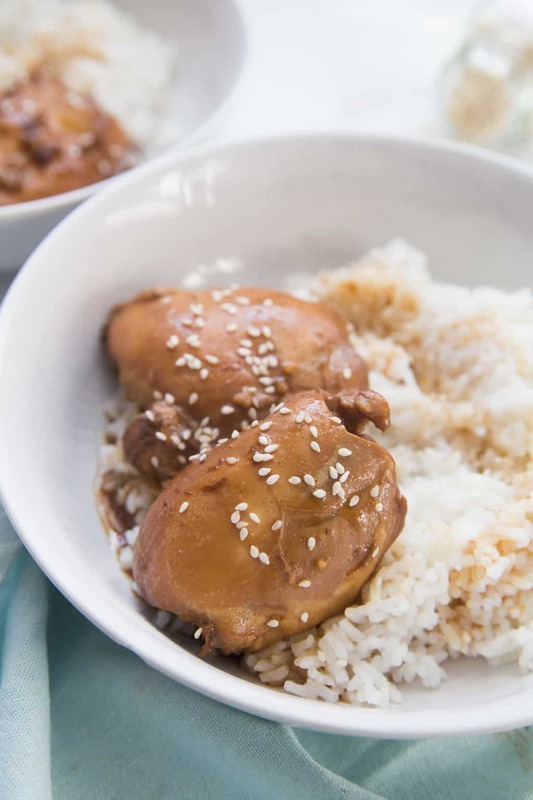 If you like sweet meats then you will love this recipe! The yummy pineapple sauce gets even my pickiest eaters excited! 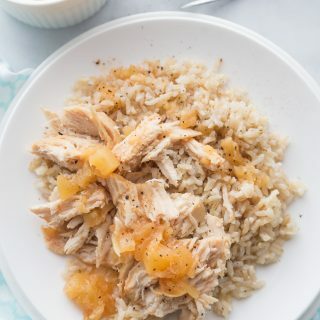 Easy and delicious pineapple chicken freezer/crockpot meal! 2 16 oz. cans crushed pineapple or pineapple tidbits drained. Use drained juice for above ingredient. 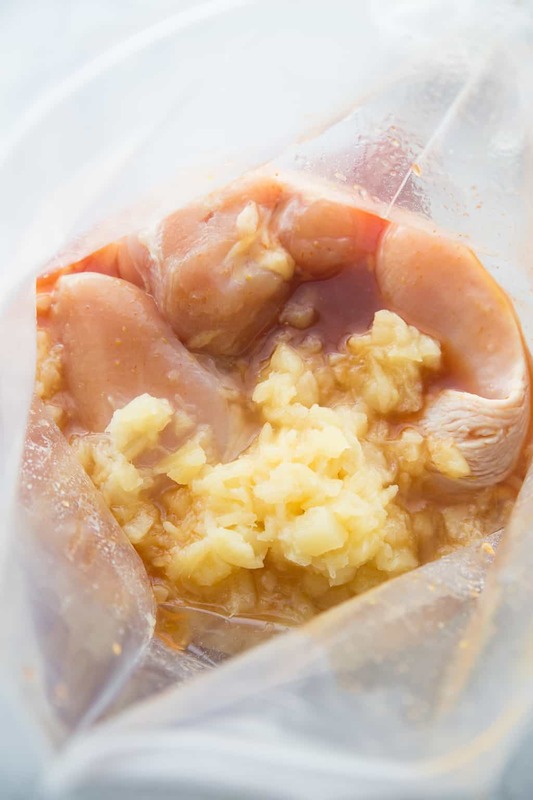 Clean and trim chicken and split between two Gallon Ziplock bags. 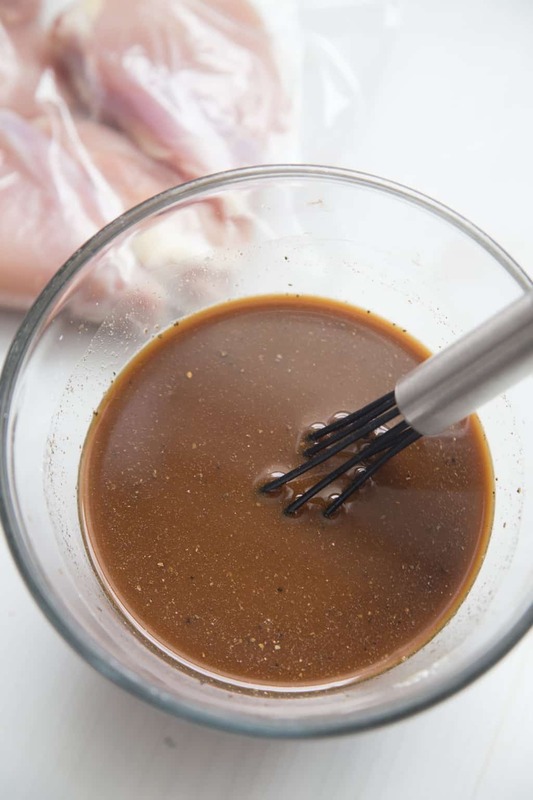 In a sauce pan, over medium-high heat, combine sugar, soy sauce, pineapple juice, ketchup, vinegar, and mustard. Bring to a boil and cook until ingredients are well combined, about 3-4 minutes. Then put in the fridge or freezer to cool some before pouring over the chicken in the Gallon Ziplock. Once cooked a bit, divide sauce between two bags. Then seal, label and freeze flat. Cooking Instructions: Cook in Crockpot on Low for 8 hours or High for 4 hours. Serve over rice. 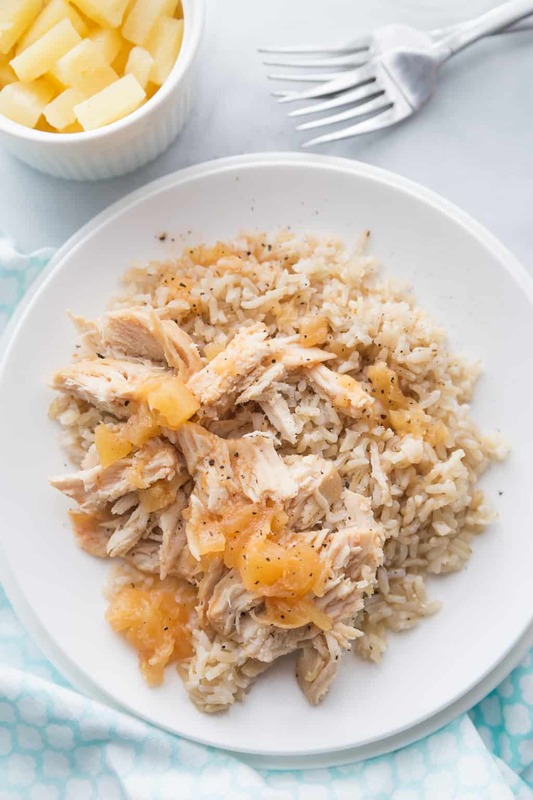 I love to serve pineapple chicken over rice and with fresh fruits and veggies! 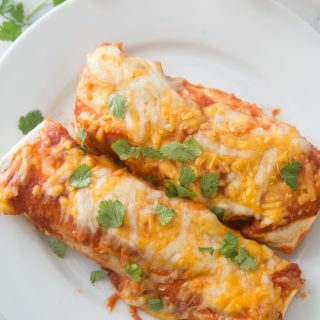 My all time favorite beef enchiladas freeze like a dream! Can I get a hallelujah?! Easy freezable creamy beef enchiladas! To prepare the Chuck Roast cook your roast on low overnight in your Crockpot with your beef broth, water, fajita and au jus packets. I also chop an onion and put in the crockpot with the Chuck Roast. In the morning shred roast, and add the can of diced green chilis. Prepare Sauce in a large pot on the stove by following the directions on the McCormick Enchilada Sauce packet. Once prepared add heavy whipping cream. Assemble Enchiladas to preference. Lay out a tortilla, put the meat in the middle, sprinkle some cheese and approximately 1 tablespoon of the sauce. Then roll them up. For freezer meals, I use disposable pans. But, you can use your glass pans if you want. I always coat the pan with some cooking spray and like 1/2 cup+ of sauce and then lay them in the pan. After the pan is full I cover all the Enchiladas with plenty (approx 2 cups) of sauce and sprinkle the cheese all over them! After I'm finished I cover the enchiladas with tin foil and then I put the lid on to the disposable pan. Reheating Instructions: If reheating from a frozen state, preheat the oven to 350 and cook for 45 minutes. If reheating from a thawed state, preheat the oven to 350 and cook for 20 minutes. These are our favorite disposable pans with lids! 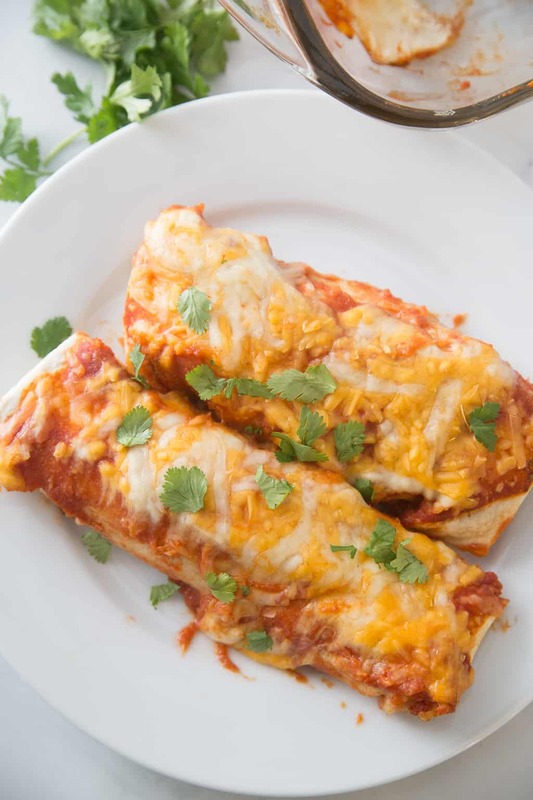 Pulling these beef enchiladas out of my freezer has saved me on busy days when we are having company, or I need to bring a dinner to someone in need. No one would ever know they weren’t made that day. Talk about winning! 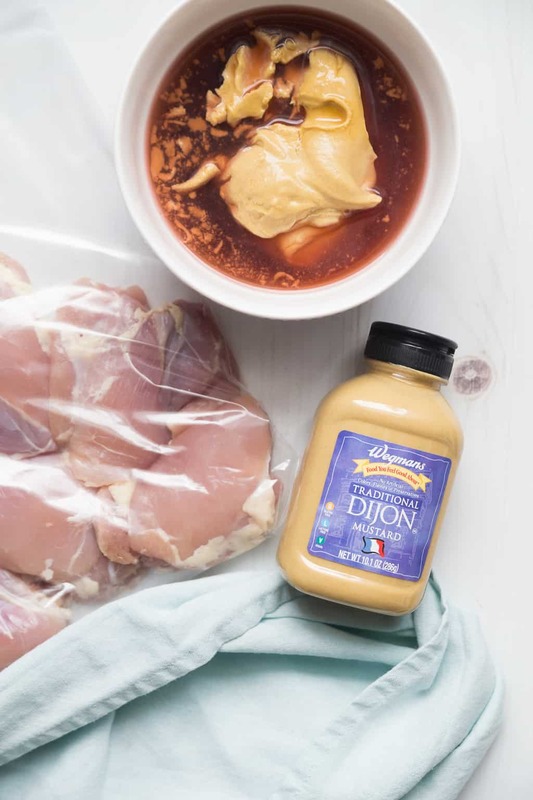 The flavor of this maple dijon chicken is to-die-for good! Everyone I make it for asks for the recipe! 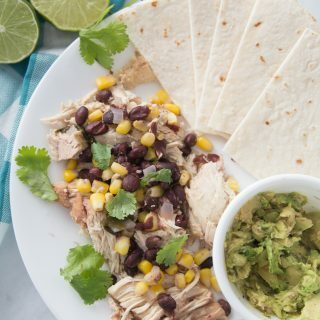 Super yummy and delicious dinner straight from the freezer to the crockpot to your plate! Trim fat off your chicken thighs. (Don't worry about getting all the fat off. 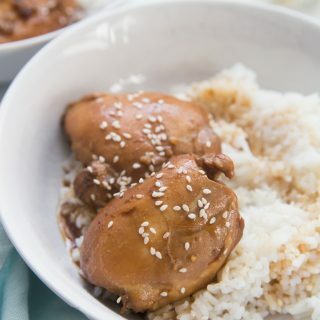 Chicken thighs are really fatty, but they are so cheap! They are perfect for the crock-pot because the fat melts off of them and by the time they are done they fall right off the bone.) 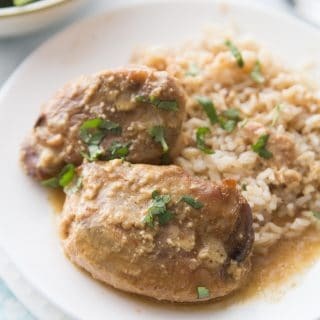 You can substitute for chicken breasts if you prefer, but I have made them both ways and thighs always taste better in the crock-pot. 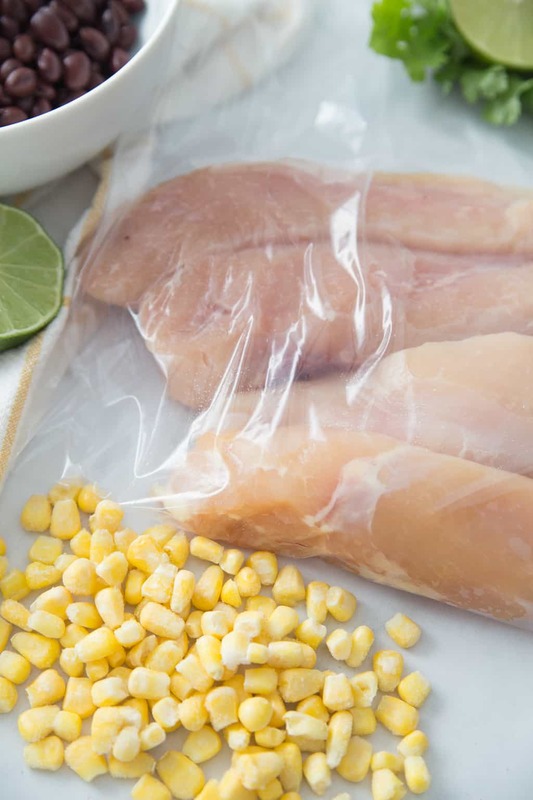 Split all ingredients between your two freezer bags and stick in the freezer. When ready to use, thaw the bag just enough to dump into the crock-pot. Cook on low for 6-8 hours or on high for 3-4 hours. Serve over rice. I like to serve the maple dijon chicken over rice with fresh veggies, like broccoli with my go-to seasoning! Garlic lime is one of my kids favorites. It’s so simple to throw together and delicious to eat. 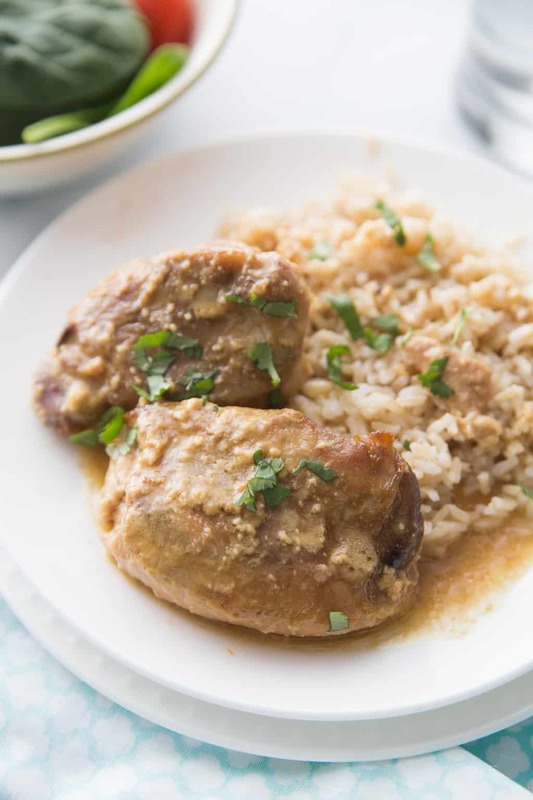 Easy and delicious garlic lime chicken freezer meal! Split all ingredients between your two freezer bags and mix around. Place in freezer. When ready to use, place contents of bag in slow cooker. Cover and cook on LOW 4-6 hours. We like to throw these garlic lime chicken thighs on the barbecue during the summer months as well! Just thaw out the bag and bbq instead of slow cooking — they are delicious both ways! Voila! So, to wrap up, we made 10 freezer meals (5 different meals, 2 of each) in about two hours! Awesome, right? I hope making these make ahead freezer meal recipes will give you some peace of mind and help ease the stress of your next crazy day! Good luck with your freezer meal assembling! This post was originally published on August 6th, 2012 and has been updated! We love freezer meals, these are simple the best ones! You literally just planned out my whole week, thank you so much for the wonderful ideas! Great list! Just started a freezer meal group with some friends, this will come in handy! Oh yay! This will be perfect! This is a great post; I could definitely save on time if I planned meals ahead of time! I’ll give this a try for next week! Yay so glad you like it! Thanks so much Beth! These are really awesome suggestions! Would love to try all these! Thank you Toni! I hope you love them! Thank you for these great ideas! Im all for make ahead. can’t wait to put these together! 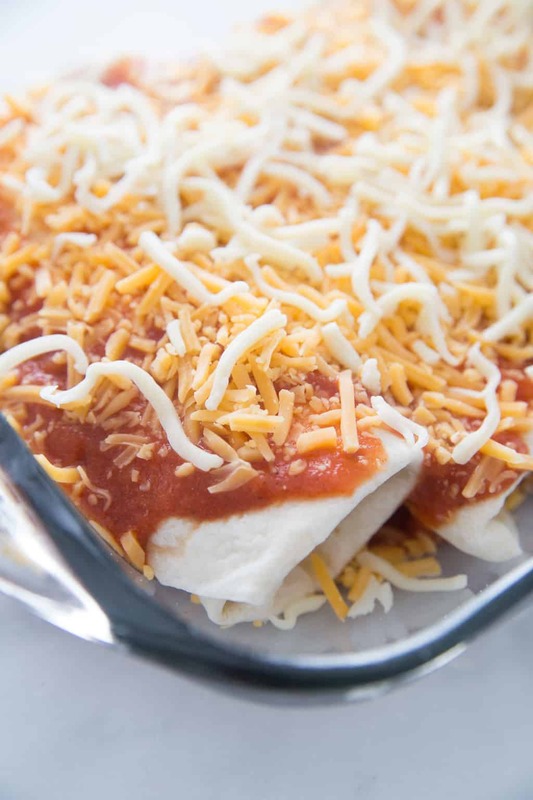 Wondering where you are using the tomato sauce listed in the Beef Enchiladas recipe? Also, maybe you want to add the cheese to your ingredients list? I’m working on a grocery list now to do some freezer cooking this weekend, and would have been pretty upset if I hadn’t thought to add cheese to my shopping list. Easy to miss since it’s not listed as an ingredient. It is, lol! Not the healthiest but most if it cooks i to the sauce which you do t actually eat much of! Hope this helps! These look great and as a busy mother very handy .My question is how many do these feed as I have 5 family members 2 of which are 20 year old boys . They feed my family of four (two baby eaters though) usually for dinner and lunch the next day. If your boys eat a ton I would maybe throw in an extra breast or two, but you could keep all the ingredients the same! Hope that helps! I just found your blog & I love it! Looking forward to doing these freezer/crockpot meals. Thanks for all the great content! I’m curious… I always buy my chicken breast frozen from Sam’s club. Do you think this would work using already frozen meat or does the meat merinate in the bag? Thanks for all the great freezer meal recipes! They are awesome. In a medium sized skillet over medium heat, add the oil and let it warm up, but don’t let it get too hot. A minute or two will do it. Reduce the heat to medium and add the flour. Stir in constantly so it doesn’t burn. It will turn a light toasty brownish color after two or three minutes. This is also when you can add the chili powder if you’re going to use it. Add the tomato sauce and stir. It’s going to look thick right away, so gradually stir in the broth you took out of the crock. Add your seasonings (cumin, garlic powder, sazon) and stir it all together. Let this sit for a few minutes until you see it get slightly thicker. Add cream, and stir well. This is so pretty to see blend together. In the pineapple chicken recipe the ingredients state that you need 2 can of crushed pineapple but in the recipe they are not used. Just wondering when to throw those in. Can’t wait to stick my freezer! Thanks! Hey Cathleen! So sorry about that overlook! We added the pineapple to our bags right before we stuck them in the freezer, but it also works if you cook the pineapple in with the sauce! It’s funny that you asked this today, because one of my pineapple chickens is in the crock pot right now for dinner tonight! :). Jessica, I stumbled across this post on Pinterest, and now I’m a follower! I’m planning on making the Cilantro-Lime Chicken (I already bought all the ingredients!! ), but in the recipe you don’t specify how much cilantro you use! Whoopsie, guess I’ll have to wing it! So sorry Alison! We just used about a handful, but you could do more or less to taste! Sorry for the late response, I’ve been out of town! Hope you liked the recipe! Looks good! But how much cilantro do you put in the Cilantro Lime Chicken w/Corn and Black Beans? We just used about a handful but you can do more or less according to preference! This is a great idea. Thank you for sharing! Hopping by and following your lovely blog (Twitter and Pinterest). These all look so good and so easy! I just HAVE to take the time to do this sometime. Visiting from A Bowl Full of Lemons – what a great feeling to put meals in the freezer! I love to do this together with some my daughters, with families of their own. Enjoy your freezer meals! LOVE all these recipes. Thanks so much for sharing! Sounds awesome! My mom always makes me a sausage rice casserole mix before she leaves me after her baby visit. It is super easy too, and delish. I should message you the recipe. Yes please I would LOVE that! Sounds amazing. Oh, and thank goodness for mothers! Would you mind sending the recipe my way?